Regrets have a really painful way of getting to you when you reach old age. Toward the end, you can’t help but look back at the life that’s been, and often it becomes a measure of what-might-have-beens. Atop the list of a retiree’s regrets is letting go of the chance to be on an exciting adventure. Be very mindful of the feeling you get when you read about an interesting place in a magazine and you silently wish you could be there someday. Today’s generation has many silent wishes in their hearts, because of interesting places they see online. In the later years, this might turn into a longing for a moment that might not come anymore. The reality of losing familiar people becomes more pronounced in old age. A retired individual hears of the passing of a good friend whom he has not seen in years, and instantly regrets not spending enough time with the person. Truly, for the senior, the world becomes a lonelier place when friends are gone. There are not many deep friendships in the life of a person. If people matter, they are worth spending more time with. Talents are what set people apart from each other. An elderly person realizes how much he could have become if only he had the courage to make mistakes in developing his talents. Talent is probably the most profound way of expressing oneself and making one’s life most meaningful. There’s still time for younger people to rethink how they want to live their lives with the energy they have. Tracy Luttrell here. If you want to live life to the fullest, make sure you do enough to avoid having any regrets! In my old age, I spend a lot of quality time with my cousin and best friend Maybelle. For more snippets of my retired life, follow me on Twitter. One of the biggest complaints heard among seniors is that they seem to have too much time and not much to do. Others may seem content with playing a game of chess or a round of poker. However, this may be bad for the health, as such activities lead to a sedentary lifestyle. The doctors prescribe travelling as a means to make the twilight years healthy for the soul, as it is for the body. To begin with, travelling is a good way to exercise. Of course exercise can be done in a number of ways, such as cleaning the house or joining a fitness group. But many seniors tend to get bored and feel the strain of such activities. Travelling to different places distracts the individual from the element of fatigue, because they are preoccupied with seeing new surroundings. Taking off from this previous point, there is a special excitement brought about by exploration. Anybody, regardless of age, is always enthusiastic about going to a place that has yet to be discovered. Senior life is always a good chance to see the world and the other beautiful things in it, things which have been rather easy to overlook in one’s younger years. Going to new places also comes with a set of new experiences. Many people have found out that there are so many things they haven’t done yet, and travelling is the perfect opportunity to realize them. This could mean as simple as a short walk on the beach, but on an exotic island like the ones found in the tropics. It can be riding a helicopter or a cable car for the first time. There are better things to do than just sit around in retirement. The world awaits. Tracy Luttrell here. My idea of living life to the fullest is travelling to places I want to explore. If you see me, I’m usually with my cousin and best friend Maybelle. Connect with me on Twitter. Don’t split two 10s: This hand’s total is a value of 20 which is excellent. Blackjack is a mathematical game; the goal being to achieve 21 (or the closest to it). If you have a hand of 20 on the first two cards dealt, there is only one way the dealer can beat you and that is with a 21 (a very high improbability). Always split two 8s: Whatever card value the dealer has (even if it is an ace), blackjack professionals recommended always splitting two 8s. When you add two eights together, you get 16, which is considered the worst hand in blackjack. Splitting the eights will give you a better chance of getting one winning hand; that is, one that has better probabilities to 21. Know when to double down: There are many situations where a double down is suggested. Such examples would be if you get a count of 11 and the dealer has a 10 or an ace. This works in a backwards manner, so if you get a 10 and the dealer has a 9 or less, or if you get a 9 and the dealer has a card between 2 and 8, it is good to double down. There are many other tricks involved here but what you read above is the general rule of thumb. Blackjack is one of the simplest yet surprisingly challenging casino games out there. Everyone should try their hand at this at least once. Will gambling save Brazil’s economy? The Copacabana Palace, a famous tourist spot in Rio de Janeiro, once had a casino that brought in $100 million per year—and this was way back in 1946. It was the last year casinos were legal, but other gambling outlets like horse raising and lotteries are still legal until this day. 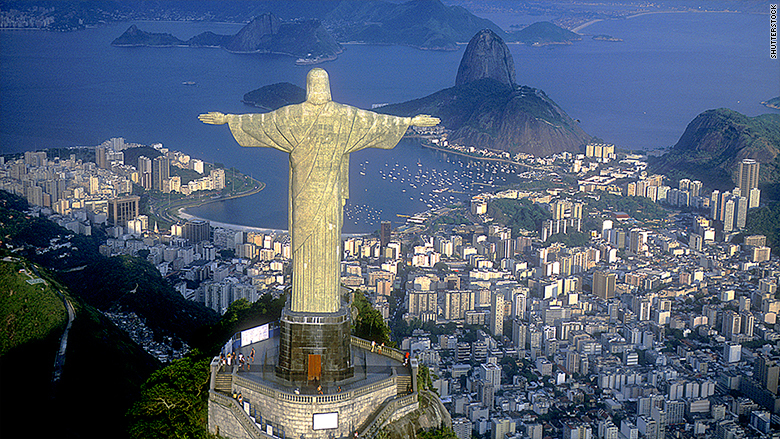 Brazil makes a total of $17 billion in gambling, according to The Financial Times. Casino-style gambling practices have been banned in the country for about 70 years. And if the Brazilian government approves the opening of these casinos from foreign operators, it would be considered as a significant event in the gaming history. The lower house and senate in Brazil are considering the legalization of gambling. Michel Temer, Brazil’s new president, has even supported the idea. Brazil’s minister of tourism, Henrique Alves, has projected that gambling could give the country up to 20 billion reais, or $6.1 billion in tax revenue annually. Brazil is currently weathering tough financial times, and it is totally understandable why they want gambling to fill its global investments. While the idea was presented for the good of many, a lot of Brazilians think that this might be a sinkhole for corruption. Will gambling save Brazil’s economy? I think, under the right leadership, it can bring financial gain to the country. If it’s for the common good, why not? Hi, I’m Lady Luck Tracy Luttrell. Know more about my life as a golden girl and my love for gambling when you follow me on Twitter. Card Counting: Is It Good Or Bad? Card counting is a hot topic in many debates involving the casino-loving risk takers of the world. People have frequently taken sides and switched, only to find themselves feeling half-hearted about whether this is ethical or not. compared to what goes on in the actual battlefield. In a nut shell, the cards are an expression of tasteful statesmanship in the confines of healthy competition. Infusing the thrill with stakes such as money was later on introduced to keep the game more interesting. This practice of making mental notes of cards accounts for the player’s silent earmarking of cards as they reveal themselves on the gambling table. To those who see this is as a violation, they feel that keeping tabs on the passing cards creates an unfair advantage, where the battle among the civilized is tainted with greed, thus defiling the traditional tenets of the game. To passionate competitors, card counting is hardly a concern because it cannot be avoided to begin with. It so happens that the deck of cards is a limited set of 52, and the probabilities become more predictable as the cards are revealed. Their argument stands solidly on the fact that it’s highly impossible for this not to be considered in strategic decisions they have to make to win. Here is where mathematical realities come into play. The debate ends only when the population of card players of the world becomes an extinct species. But that’s not going to happen, ever. Meanwhile, perhaps it’s only fair that we pass the time with a friendly game of cards. Tracy Luttrell here. I spend some of my most enjoyable moments visiting casinos. If you see me, I’m usually with my cousin and best friend Maybelle. Connect with me onTwitter. It is possible to live life as if you are in a sitcom. 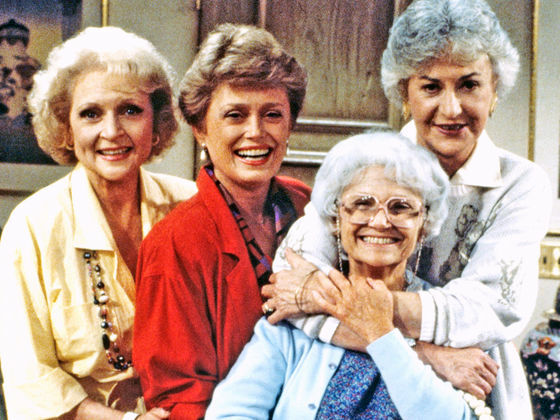 As for me, Maybelle, and two other friends, we have realized that living in one house as if we’re the Golden Girls definitely made things more convenient. Now that most of us in the house are in our 70’s, it’s good to know that we still have people we can connect with. The housemate situation is not as tough because we’re no longer “trying to adult” as my nieces and nephews would say. We’re so past that phase now that we’re in retirement. Even if the four of us at home are reaping the benefits of working for so many years, we realized that even with the occasional backaches and maintenance meds, we are able to take care of ourselves. However, if there’s an emergency, we are always there for each other. At times when there could have been tension, we would discuss it calmly especially when it comes to forgotten chores or unpaid bills. Even if we’re old enough to be responsible, some things just slip our minds. Then again, that’s why we have each other. Every once in a while we act as counselors, fitness trainers, assistants, and nurses for our housemates. Knowing that the people you share a home with are forgiving and kind makes all the difference. We’re no Blanche, Rose, Dorothy, and Sophia, but I could say that our home life is good enough. Tracy Luttrell here. I am a septuagenarian who enjoys keeping her mind and body active. If you see me, I’m usually with my cousin and best friend Maybelle. Find out more about me on this page. Qiqong is a form of alternative healing used by many eastern meditation practitioners. It is a type of energy medicine that is said to approach health in a holistic manner. Being over 70, I’ve begun appreciating the many forms in which we can better ourselves. Health has many aspects to it; physical well-being is only strengthened when the mind itself is strong. This is how I stumbled upon Qigong. I was looking for exercises that would keep me fit while being gentle enough for my body. I was surprised to see that many people my age were also looking for similar routines, and the most popular among them is Qigong. I have to state here that many Americans like Tai Chi, but Tai Chi is a form of Qigong. What really attracted me were the medical studies that showed how the exercise works. The regimen – as with most eastern medicine – focuses on building the mind while allowing the body to move. The movement is also quite tame but still challenging enough to get me sweating after only a few minutes. The best part is that Qigong masters really do take into account aging and any physical limitations one may have. Qigong may be practiced standing up, sitting down, or even in the supine position. Practices may also be adjusted for each person. For me, the added benefit was how repetitive the movements were. Qigong is usually practiced with the master talking about balancing the mind. This, along with the movements and the warm, relaxing music, really puts you in a state of total bliss. I felt better even after only one session – and many medical studies do state the relaxing power of the exercise. I can’t wait to do it again! I am Tracy Luttrell. I may be over 70, but I am still living life to the fullest and sharing my stories in this Twitter account.